The computer company Lenovo advertised some very big discounts (money off) on its computers. They offered the Y410p laptop at just $279. Its regular price is $1,389. Another computer, the Y510p was advertised at $509–its normal price is $1,399. However, when customers tried to buy one of the computers—and even provided their credit card information—they got a message from Lenovo that said the price was wrong. It seems that Lenovo had accidentally put the wrong price on their website; it shouldn’t have been so low. 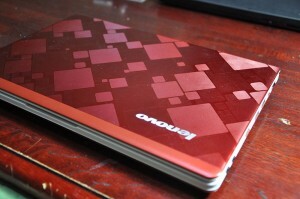 However, many customers are demanding that Lenovo honour the price they had advertised, and sell them the Y410p computer for $279. Lenovo doesn’t want to do that, because it would lose too much money on the deals. Bait-and-switch is when a seller advertises a really great deal, just to get people into their store. Then, when people go to the store the customer is told that the deal doesn’t exist. The store is hoping that the customer will stay anyway, and buy something else. That kind of practice is illegal. If you advertise something at a certain price, you must have it available at that price—with very few exceptions. Not for many customers, who have posted messages on Twitter, Facebook and Lenovo’s website, complaining about what happened. Some of them say that Lenovo charged the money to their credit card—and then told them they couldn’t buy the computer at that price. One person said the incorrect price stayed on Lenovo’s website even after he received a message saying it was an accident. Lenovo said it will give people a $100 discount on their next purchase, until August 3. Here is an excellent article by Susan Krashinsky at The Globe and Mail with more information about the Lenovo situation. There are many different points of view in this story. What are they and what does each side believe? Which side do you take and why? Lenovo has many unhappy customers right now. How do you think this will affect their business in the long-term? Do you think people will forgive and forget, or do you think they might shop for a computer from another company? In this story, the journalist added in many additional details and information that sometimes interupted sentences. She did so to make the story clearer and easier to understand. To add this information, she used a few different punctuation marks. What are they and how did she use them?